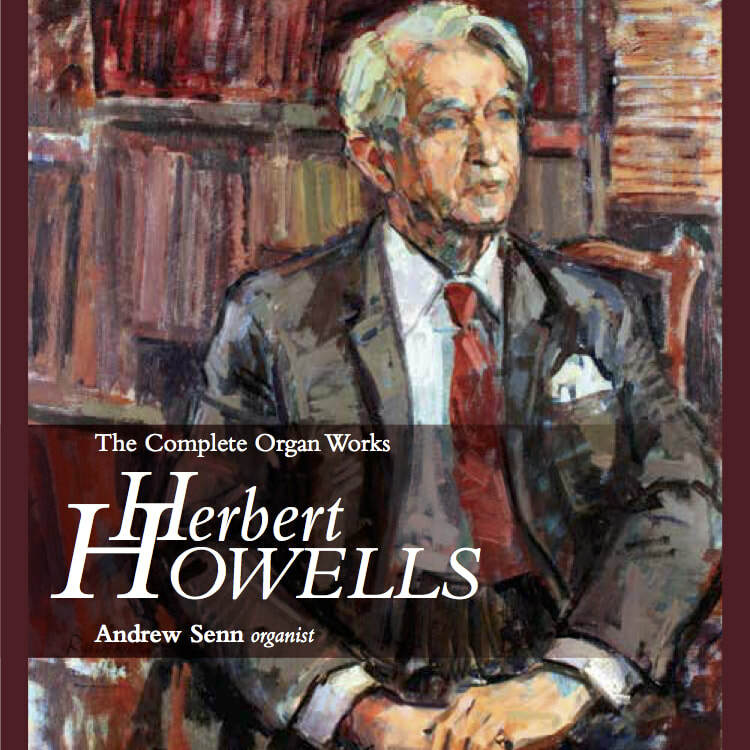 Throughout 2016-2017, I will be recording the complete organ works of Herbert Howells. Known to the world for his many settings of the Magnificat and Nunc Dimittis and other staples of the choral repertoire, as an organist himself, Howells also had a significant output for the organ. I first encountered his music when I sang in the choir of St. Luke's Church in Evanston, Illinois in my high school years. That introduction became a life-long love affair, which I knew would eventually lead to a project like this. This project started taking shape in my mind several years ago, and I am delighted that it is finally coming to fruition. Though I am ultimately making these recordings to fulfill a personal aspiration, I do hope they will be enjoyed by many around the world. And, while all of the music has been recorded previously by other artists, this will be the first time it will be all be recorded together (as sometimes happens, music is published posthumously, after a "complete" set has been made. No doubt this set will wind up in that category at some point down the road!) Moreover, it is the only series (so far, anyway) that will be rendered by a single performer. The recording series will be performed on the organ at First Presbyterian Church in Philadelphia. The gallery organ of 60 ranks is a masterpiece by Reuter from 2000, containing many vintage and historic stops from the previous Austin and Hutchings organs. The smaller chancel organ (both instruments function as one from the same console) consists of 18 ranks was rebuilt in 2012, replacing much of the 1953 Moller pipework with older, warmer stops. The instrument as a whole is wonderfully versatile and colorful, and provides an ideal vehicle for all of Howells' music. You may click the button below to purchase your copy of Volume One. Please check back here toward February, when Volume Two will be released. Thank you for your support of this project, and for helping me to celebrate the music of this 20th century English icon.